gems shotover country - the nest and the hive from the playground - click for more images! Aino is our well-organized Administrator who is usually your first point of contact at the Shotover Country Centre. You can see her either concentrating on something on the computer or chasing up missing parent signatures. Kaylee is originally from Whakatane where she had a rural upbringing. She completed her ECE degree in Christchurch and then decided to extend her teaching experience in Brisbane. After that she decided to travel to the UK and work as a nanny in London for a while, where she ended up meeting Adam. Finally, their love for the outdoors brought them from Invercargill to Queenstown. She loves working with children and loves their eagerness to learn and explore what their bodies and minds are capable of. She feels confident in nurturing children’s needs at a respectful and individual capacity. On her spare time Kaylee enjoys baking, drawing, mountain biking, hiking and of course skiing! Avi is excited to join the staff at Gems this year. She has dedicated a lot of time taking care of children and has enjoyed every minute of it. She brings ten years of experience in childcare. Avi began her teaching career in Singapore before seeking new adventures by coming to New Zealand. She has thoroughly enjoyed her experience in Queenstown and has learned a great deal about the culture and people as well as about herself. She particularly enjoys spending time hiking, camping and cooking. Avi believes that the willingness to devote considerable time in acquiring the trust of a child is key in getting them to become confident. She is keenly aware of the great importance of being able to read and react appropriately to non-verbal signals from children. Avi is thrilled to be here at Gems where she can practice her skills, learn more about the theories of RIE, Pikler and Reggio and continue her own learning and growth as a teacher in the Nest. Bachelor of Arts, Graduate Diploma Primary and Early Childhood Education. Full Teachers Registration. Bridget began her teaching journey within the primary sector, but once having her daughter, and experiencing first-hand the magic of learning from infancy; she was inspired to begin her early childhood teaching journey. When it comes to teaching infants and toddlers, Bridget is motivated by the current research regarding the first 1,000 days of a child’s life. “Like trees, children need strong foundations to grow” Brainwaves Trust NZ. Bridget believes these foundations are based on respectful and trusting relationships, concepts prevalent throughout the Pikler and R.I.E teaching pedagogy. Bridget chooses to work alongside the team at Gems, because the centre provides an environment that supports a positive connection with home and our natural environment. She sees the value the centre places on listening to the children and their families, doing so through a play based curriculum with a lot of heart. Tegan was born and raised in a small town called Tuatapere in Southland. Raised in a great community, Tegan is grateful for the experience and opportunities that have come from her rural upbringing. She has been working in Early Childhood since 2010 with all age groups and previously enjoyed a contract working with children for P&O cruise lines in Australia. Tegan left her centre in Invercargill earlier this year to make the move to Queenstown and is delighted to be working at Gems. She is passionate about the care and education of young children and looks forward to helping create safe & nurturing environments where children are encouraged to learn, play and grow. In her spare time Tegan enjoys spending time with her family and friends. Her passions include new-born and family photography, interior styling, art, music and books. Tegan is also interested in personal well-being and health and enjoys bush walks, gym and trying her hand at nutritious recipes. Sarah dreams of world where everyone has a deep sense of purpose and authentic self-appreciation, especially kids. She has worked with children for 18 years across social work, as well as primary and early childhood teaching. Sarah loves the beauty, happy vibes and tranquility of Aotearoa. She was born in Dunedin, and has lived all around NZ, in Switzerland and in France. Sarah gained a Bachelor of Education (primary), then taught at a (residential) primary school that re-educated NZ's most behaviourally challenging children for a few years. She studied Outdoor Leadership at Otago Polytechnic. Combining her formal training, Sarah took up a leadership and mentoring role in early childhood education and totally lived it! 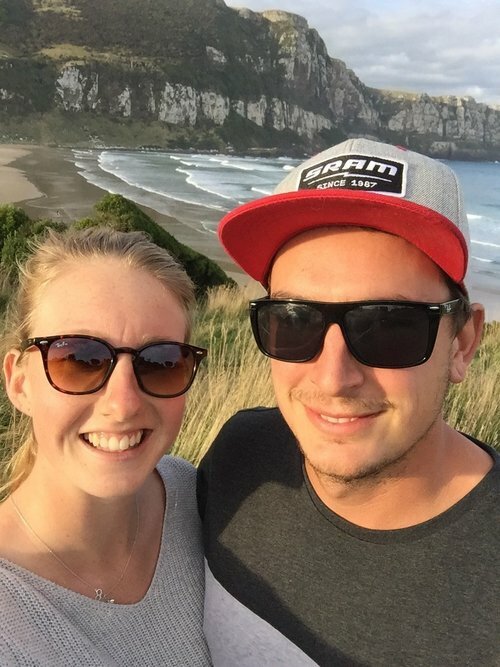 Sarah and her partner moved to Queenstown mid 2018, before joining Gems. Sarah's favourite quote is 'Those who endure, conquer.' She loves that quote because it is a reminder to keep charging forward, even when it's challenging. It's also a reminder that our hard times today will become our victories in the days to come. And "hope is just as important as the air we breathe!" Morgan is originally from Southland and moved to Queenstown in 2009 to complete her Diploma in Teaching (ECE) through field based study. In 2014 she moved to London where she spent just over two years teaching and travelling neighbouring countries in Europe. Her time as the Nursery Leader (3 & 4 year olds) in a South East London primary school provided her with incredible opportunities for professional development on the schools journey of rapid progress and improvement, using her strong understanding of early childhood development to provide the best learning environment with a unique kiwi influence. Morgan has a passion for nature education and believes that every child should experience the benefits of learning through and with nature. She has completed a Forest School Leader (Level 3) qualification, developed an Urban Forest School in London, and is now the Farm School Coordinator for Gems Farm School. Her appreciation and love for nature stems directly from her childhood memories of her family holidays in Colac Bay, where she spent hours and hours playing with her cousins outside, at the creek, in the swamp, in the paddocks and at the beach. In her spare time you will find Morgan getting out there and being active, whether it be hiking, boxing, netball, snowboarding or a gym session. She believes in engaging the body, mind and soul each and every day and also applies this to her teaching practice. Carrie was born in Ireland and moved to New Zealand in 2015; She initially lived in the North Island and moved to Queenstown in May 2016. She loves New Zealand life and is trying to immerse herself in the culture. She enjoys an active lifestyle and loves to go for hikes, bike rides, snowboarding in winter, and she also loves to cook. After leaving high school she went to university in Belfast to complete a degree in Early Childhood Studies. Her study introduced her to a wide range of international perspectives on Early Childhood Education and she spent a lot of her study focusing on the Reggio Emilia approach; the 100 languages of children. After graduating, Carrie spent a year travelling; backpacking around Asia, Australia and New Zealand. She also worked in France for 5 months in a ski resort. After that, she moved home and worked as a nanny for some time before deciding to make the move to New Zealand. Sarah came to Queenstown in 2005 from England for 3 months, but ended up meeting a kiwi fella, becoming a NZ resident and has never looked back! Later on she went back to UK to get her Teaching Assistant Qualification and to start her teaching career. In 2015 she returned back home to Queenstown with her kiwi partner. Now the couple has 3 children (oldest one at school and two younger ones at Gems Shotover Country), fourth one on the way in 2018, and a gorgeous crazy dog called Nova. At Gems she has a fun attitude towards teaching which the kids love: play, play and more play. She values personalised play in her teaching methods and celebrates individuality. Sarah finds it very important to build and maintain strong relationships with children, parents and whanau. Sarah also enjoys spending time with her family and friends, camping, walking the dog, baking (which she often does at work with the Gems children), upcycling and snowboarding. Bridget originally from Christchurch, where she went to school, university and teachers college. While at high school she was lucky enough to go on the Spirit of Adventure Program, a wonderful opportunity she highly recommends. She has a Bachelor of Arts in Anthropology, a Graduate Diploma in Primary Teaching and this year she has been working towards a Graduate Diploma in Early Childhood Education. Bridget has lived in Queenstown since 2012 apart from a 2 year O.E. in the middle. While overseas, she taught in London and was lucky enough to travel extensively. This experience really made her value how great life is here in Aotearoa. In her free time she loves to cook, ski, water ski, snorkel, swim, fish and just generally be outside enjoying the fresh air. She is passionate about the environment and can often be found on walks carrying a bag of litter she has collected along the way. Bridget spent her childhood exploring the great outdoors all over New Zealand and wants these opportunities for future generations. She also LOVEs to craft/sew/up-cycle; Some of her recent projects can be found around the Hive. Kia Ora - Ko Shirley Jones Taku ingora. Shirley is excited to be working in the Hive at Gems. She moved to Queenstown from Christchurch over a year ago. She is originally from a little Wairarapa town, Featherston. Taupo was also home for 20 years before moving with her husband Ian and adult son Callum to Christchurch for work. The opportunity then arose for the family's building business to make Queenstown their new home. "So here I am, a passionate Early Childhood teacher having worked in the sector for over 30 years." Her future teaching goals are to continue learning Te Reo Maori and be inspired by an environment that engages learning for all who attend. Her interests are pottering in the garden, fishing, playing the ukulele, and spending time with whanau. Karina has recently moved to Queenstown with her husband Joe and their 10 month old son Ollie. Her inspiration to become a teacher came from having wonderful teachers during her own childhood. She has two teachers that are very memorable to her. They made learning fun, engaging, nurtured her interests and helped her build confidence. She felt very valued and respected by these teachers and this had such a positive impact on her learning and well-being. She decided She wanted to do the same for tamariki, so she had a career change in 2012 and gained a Bachelor of Teaching from University of Otago. Since she gained her degree, Karina has taught in England and New Zealand. For herself as a teacher and a parent, Gems fits in with her values through implementing Reggio Emilia and Pickler philosophy’s. She especially loves the strong focus on respectful care and child centered approach to learning.